Location: San Bernardino National Forest near Angelus Oaks. From Redlands, take highway 38 east for 25 miles and park on either side of the street. (Make sure you take the hairpin turn at Forest Falls to stay on highway 38). The two trailheads are just before Jenks Lake Road. The Whispering Pines trail is on the south (right if you’re coming from Redlands) side of the highway; the Ponderosa is on the left. A National Forest Service adventure pass ($5 for the day, $30 for a year) is required. Click here to purchase. Agency: San Bernardino National Forest, Mill Creek Ranger Station. For more information, visit here (Ponderosa; Whispering Pines). 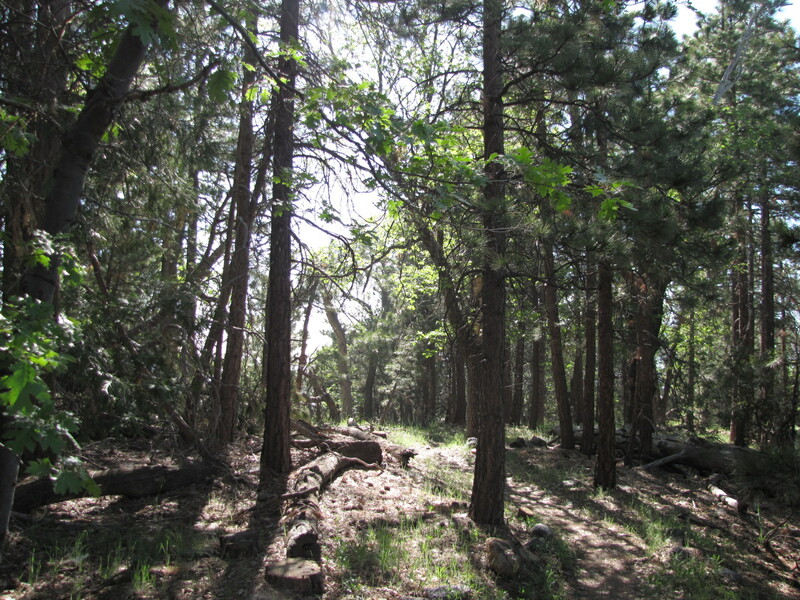 If you are on your way to Big Bear Lake and only have an hour or so to spare–or if you want a quick escape from the Inland Empire’s notorious summer smog–check out these two short but enjoyable trails. 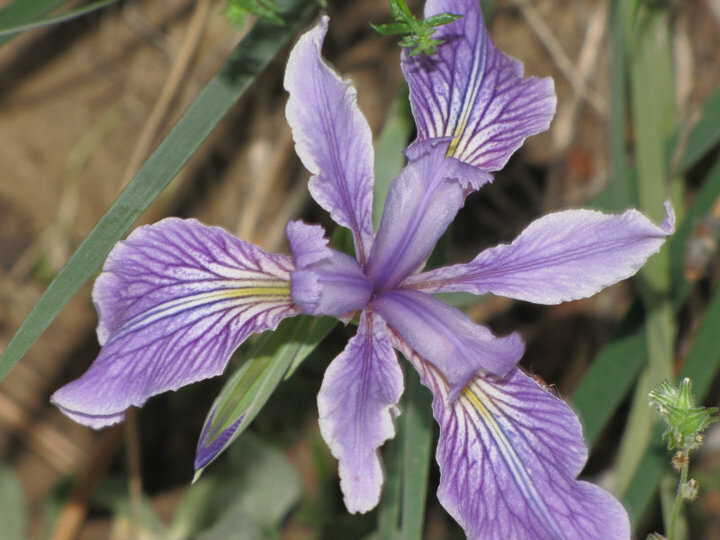 The Whispering Pines trail was noted for being featured in an episode of “Lassie.” The trail works its way up a hillside, passing by bunches of purple irises and many other flowers which are mentioned on the various interpretive displays. Through the trees, views of the Yucaipa Ridge are visible. The trail reaches a hilltop, where there are benches in a clearing, before winding back down to the road. Across the street, the Ponderosa Nature Trail follows a similar course. What this trail lacks in flowers it makes up for in views of the Santa Ana river gorge far below. After a short climb, the trail descends and finally climbs again to the trail head. While neither of these trails ever really escapes the road noise from highway 38, they’re both well worth exploring, either before or after a longer hike (such as Dry Lake), or on the way to or from Big Bear Lake.